Wow, it has really taken a long time to get from reputation 69 to 70.. But I finally made it - thanks to all who helped and supported me along the way! Not only am I now a reputation 70 Steemian, but I am also currently in position 70 in the list of witnesses (although unfortunately, my server has been offline for the last few hours due to further issues with the memory capacity - the cause of which is unclear, but I am investigating and will have the server back online again soon). I attempted to find out who has the highest reputation on steemit and where I am in comparison, but since steemwhales.com is the main site I know of for that data and it is currently broken (the data is weeks out of date), I don't have an answer to that enquiry.. I am thinking I will add a page to steemocean.com to provide that data soon! In a way, reputation is just a number, but it does give specific abilities - such as being able to downvote and reduce the reputation of other users who are lower. I actually think this is a bit unfair because reputation is only a measure of how many upvotes an account has received (plus the Steem power value of those votes) - so reputation can be BOUGHT and that means that the whole system can be twisted by whoever has the most money. All that said though, reputation is still a measure of success and community support for most of us, so I am happy and thankful to have reached this milestone. When I started out posting regularly to Steemit, I'm not sure there was anyone at the level of 70. I think now possibly the highest reputation is 79. Incidentally, I do respect the power of being able to lower the reputation of others and I have almost never downvoted anyone. I tend to only do it when they obviously lying, being obnoxious deliberately, scamming or demonstrating other destructive behaviors that are not beneficial to peace or wellbeing. How long does it take to reach 70? Everyone is different, so there is no fixed speed - but my reputation was around 30 at the beginning of 2017 and it has taken me about 3/4 months at least to get from 69 to 70 I think. I have seen new users jump from 25 to 44 in one day with just a few valuable upvotes - but progressing beyond around level 55 requires dedication and a lot of hard work, since the higher our reputation goes, the more upvotes we need to get to the next level. Congratulations, you have done great content, I am surprised it took this long. Congratz! Thanks a lot! In case you missed it, there's a new reputation page at steem ocean. You have the 160th highest rep on the whole blockchain! nice going! @titusfrost sir,i'm new steemit member see my introduce and support me. Thanks! To move up from 60, I think it is necessary to either have a lot of money to begin with or to be specialised in a way that some whales or communities will support us in.. I have had some good help from Steemians such as @v4vapid, @canadian-coconut, @ausbitbank, @surfyogi who have significant amounts of steem.. Without them, my hard work and a bit of vote bot use from time to time, I would maybe be quite a few points lower! Congratulations, sir, you are a wonderful person. Full of commitment, dedicated, wise and patient. And one more thing, I think, you are a believer. You achieve a reputation of 70 without the help of a bot. Please invite me if you put the party on 80's reputation. Again "Congratulations on Reputation 70 and the list of witnesses at number 70". Thanks a lot! I have used bots along the way, it is hard to get noticed without them if you are starting out on Steemit. When I started there actually weren't any vote bots, but I quickly realised that if I didn't use them then I would find it much harder. 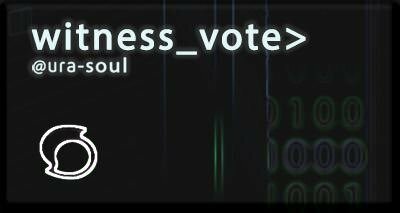 I had some early success and then carefully used the rewards to buy votes from time to time. Now I don't use them unless I have a very important post that I want many people to see. I originally believed you through a reputation of up to 70 without the help of a bot. I'm inspired by your little story, where you are now was your dream when you started out, I'm glad you are able to make it a reality. With great joy in my heart, I am looking forward to a day I will celebrate such a great milestone. You just shown it that it is possible through dedication. Enjoy your rep! And keep to have fun in what you do ! These are big achievements to be honest. I think @haejin has the highest reputation right now, though it's pretty easy for him to level up. I wish you success to reach that 80 reputation also somewhere in the future. Thankyou! Yes, he probably does. 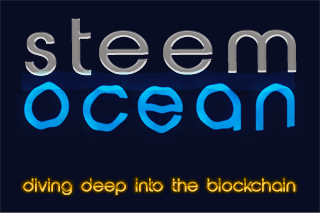 I am going to add a list to Steem Ocean later today most likely. I honestly have no idea if I can reach 80 - but it will be a fun journey anyway! You most definitely would though 70-80 is going to be a long journey but just like you said it's going to be a fun journey as well. Congratulations @ura-soul you really deserve it. I have been following since a long time and honestly I believe that you are one of those bloggers who use steemit the way it was meant. I really respect and appreciate your content. Good luck, keep up the good work. I look forward to see nor to from you and see you reach greater heights. Thanks so much for your support - I do aim to stay true to the original intention of Steem, yes - it is one worth sticking to! Well I admire you because of that I went wrong once but now I am on track. Thanks! Yes, there is a problem with the RAM or Storage.. Either the hard drive used to store steemD and the block logs is suddenly not quick enough.. OR the RAMDISK I am using for the shared memory file is full. The RAMDISK is 80GB and I thought that would be enough, but maybe not. Do you know how big your shared mem file is? I have seen people who are new arrivals and manage to reach quickly to 50, I do not know how they do it. Going up little by little until you reach 70 should have been an extremely long way since the more level you have, the next will be even more. Some people buy votes from bid bots and some people just get support from big voters on the network in one way or another.. There really is no other way that I know of. Great milestone @ura-soul. Well done for reaching 70!!! WOW! That's cool...the biggest achievement and a dream of every minnow too. You finally achieved it. Congrats to you for the hard work you put into this community to make it useful. Thankyou! I wish you success too! Yes, for someone like me! Its easy to know when the reputation is a product of hardwork and dedication as opposed to being bought. Thankyou! We can all increase reputation by upvoting others, so all that is required to boost reputation is a big wallet! Excellent, thanks and congrats to you too! 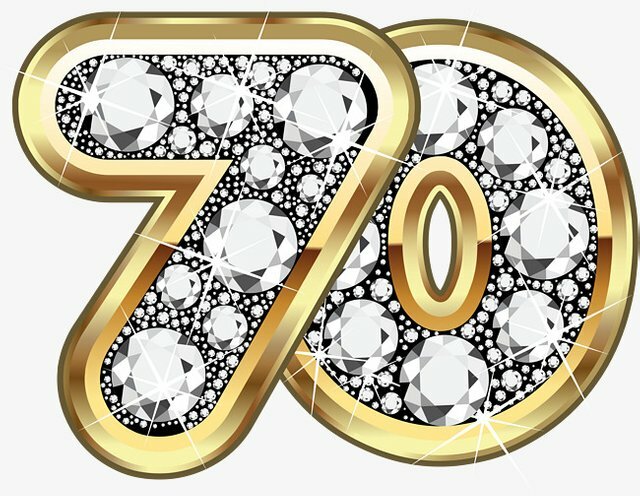 Congratulations for making into the 70+ club .. you really deserve it and are both a credit to the platform and humanity in general ;) Onwards and upwards for you my friend! Resteemed for you. You're catching up... It seems like I've been on 70.9 forever! WOW! The last time I checked I was like 1400 or something! Congratulations on these two my friend, they are well deserved. Meet you at the top, help me get there too. Smiles 😃😃. We’ve got to celebrate don’t you think? Congrats on the achievement buddy . Well I totally agree the level after 55 is always harder and the way it goes the steps just began to get harder.While by the hard work of ours we can surely get there . While like you said REP.Score is just a no, all we need our dedication for being here. Congratulation, this will be the first time i will be visiting your blog. Congratulation, @ura-soul: you deserve even more! Congrats. I think that for me high reputation is going to be the goal. Like you said though for one to have reputation that high it will take lots of money earned to get there but I think it’s a more appropriate goal for me than a monetary one. Keep up the good work, I will read through some of your posts and your witness testimony and consider voting for you as one. Thankyou! Maybe aiming for high reputation is healthier than aiming for high money, yes - but ultimately they are directly linked! 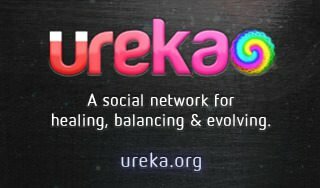 Congratulations @ura-soul, It needs to do good work to get that reputation, I want to belike you someday, hahahaha, I am doing pretty goos already. Regards my friend.